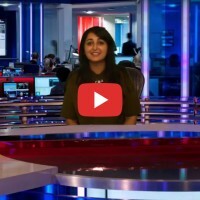 We provided a green screen video studio to film participants reading the news. Each delegate was given a unique QR code which took them directly to their video. Videos could immediately be downloaded, emailed or posted on social media. Participation rates were high and everyone enjoyed the unique experience.